Well I have just got back from spending a week in Hobart, Tasmania with my in laws and had a lovely time visiting. 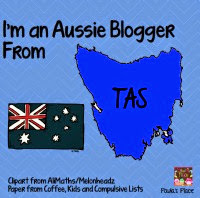 I have included a picture of where Tasmania is for all those Northern Hemisphere people who don't know where the heck in Oz is Tassie. Well the good news is we just found out that we are MOVING to Tasmania as my husband has just recieved notice of his new posting and starts in Jan 2014......the bad news is I HATE the cold weather....not just hate.......HATE!!!! I am seriously thinking of asking my Grandma to knit me a onesie...maybe like this because I can just see me leaping around like that! Well I am sure I will NEVER get used to it and I am researching underfloor heating and obviously will have to buy many, many, many new pairs of boots. Anyway......I am happy that we will be closer to my in laws and my kids will have an opportunity to grow up around some family, if you are a military family you understand what a rarity that is! Well before I go I wanted to share the other awesome thing that happened to me while I was in Hobart. I just happened to be holidaying there at the same time as one of my bloggy buddies Emma from Clever Classroom, I was so excited to catch up with her and my family spent a lovely afternoon with her and her husband. Poor boys got their ears talked off about all things teaching, blogging and TpT, no seriously we were well behaved, heehee. 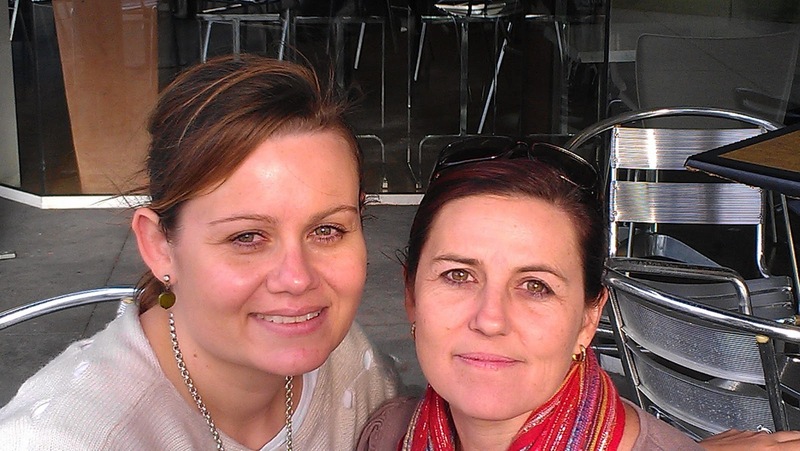 Here is a photo of me and the beautiful Emma, who by the way has a new blog Clever Classroom click here to check it out! It was so windy that day that they had to cancel the Salamanca Markets for the very first time in like a hundred years but that did not deter us! I was soooo excited to finally meet up with Emma, she really is a kind and thoughtful person who loves to laugh and is just as gorgeous in real life! Well that is the round up from me at the moment.....oh one more thing I reached 100 followers on my Facebook Page so I will be planning something special......stay tuned. Backto school tomorrow! And I totally agree with the boots - love a winter wardrobe!